A set of cards to be used with young learners of English. 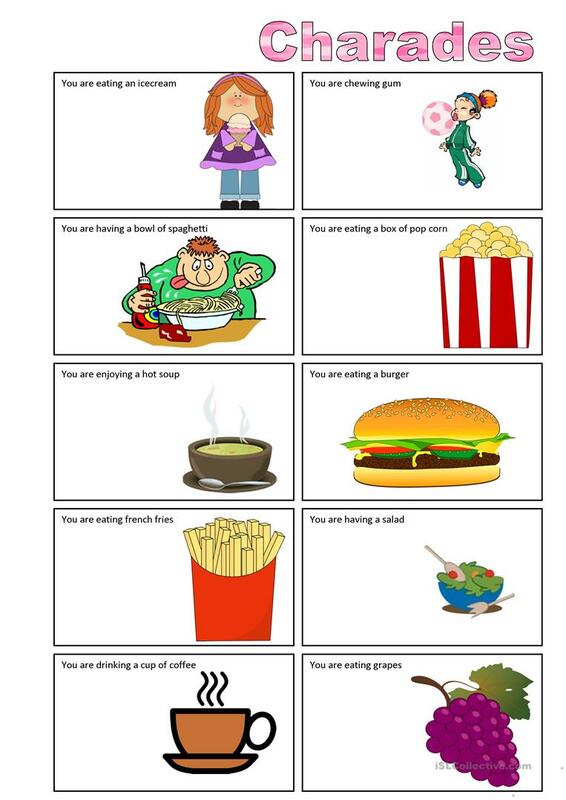 Students have to act the way they eat the different foods and mates have to guess what they are enjoying. This downloadable teaching material is meant for high school students, elementary school students, kindergartners and nursery school students and adults at Elementary (A1), Pre-intermediate (A2), Intermediate (B1) and Upper-intermediate (B2) level. It is excellent for strengthening your pupils' Speaking skills. It is focused on the topic and words of Food.